With her passion for books and reading, Miss Denise can be found coordinating the Scholastic Book Order. 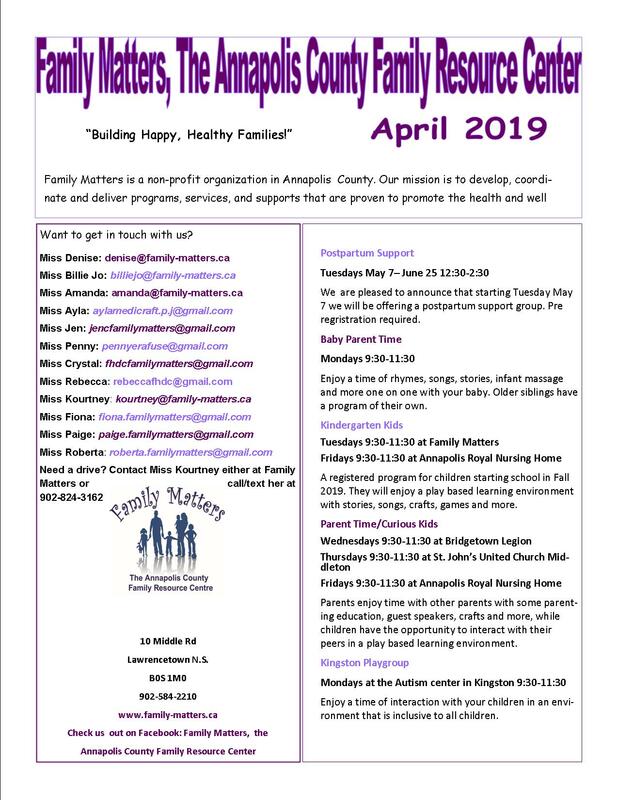 Family Matters is the Hub of Roots of Empathy® in the Annapolis Valley Regional School Board district, with Miss Denise as the KPP (Key Point Person) as well as facilitating 2 Roots of Empathy® programs. In addition, she is a Tumblebugs Train the Trainer, You Make the Difference leader, and a Jump Jiggle Jive facilitator. Miss Denise is the Programs and Partnerships Director and can be contacted at 902 584 2210 or 1 800 399 7119 or emailed denise@family-matters.ca if you have any or partnerships concerns.